My name is Thanawin Kiatgungwalgri. My nickname is “WIN”. I was born in Bangkok and 13 years old now. I study at Primary School – Bangkok, Thailand. The RC Helicopter is my favourite extreme sport after learning and practice it in September 2017. I thought that it is very challenging sport because required high controlling skill and need high concentration throughout the game. 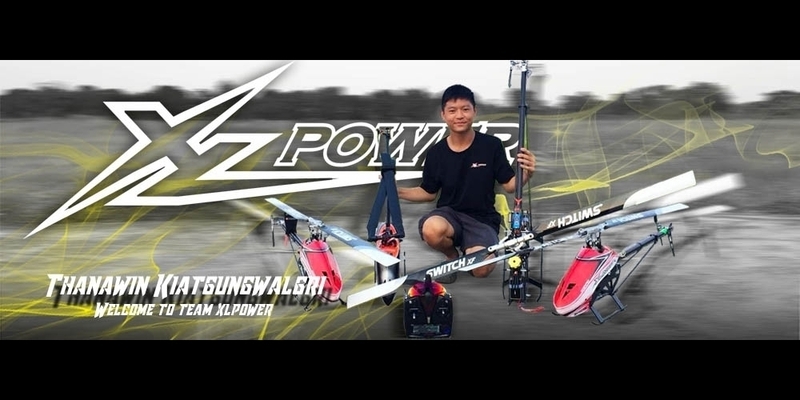 “XLpower 550” is the 2nd machine which got it early of January 2018. 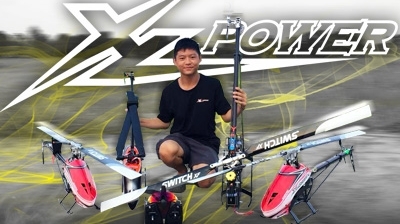 An impressive thing after flew for a weeks, definitely very good feeling of lightweight machine as well as reasonable price of each parts. Furthermore, I impressed more and more when got “Specter 700” in next 2 weeks with a few main reasons, durable and extremely lightweight machine, easy to maintenance, good price/performance and also excellent services supported by local distributor. Playing simulator almost everyday along with practice in the field severely over my vacation brought about me got the 1st place of beginner class among 18 pilots in “Thailand Heli Blowout 2018 (THB2018)”, the big competition event which held on 31 March - 1 April 2018. In addition, with encouragement from my parent and many advisory things from several colleagues make me aim to be world-class pilots in the near future.